Powder bluish evergreen foliage with yellow flowers mid-summer. 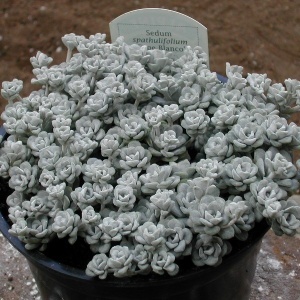 Great in rockeries, containers for full sun, very drought tolerant a great plant. Hardy.